Wicked Weed aims to bring “Northwest” styles and variety to Asheville. Look for dry, hoppy beers, Belgians, sours, and barrel-aged brews. The Freak Double IPA will be a major part of the line-up, and the Transgressor Imperial Red and a Russian Imperial Stout, each aged in bourbon barrels, will fill a high gravity niche. There will also likely be beers aged in wine barrels from the nearby Biltmore Estate and others made with malts from Asheville's Riverbend Malt House. Wicked Weed will brew a number of Saisons (from the French word for season), using seasonal ingredients and their open fermenter. Sweet potatoes, local honey, grits, yams, chestnuts? At this point, everything is on the table. The Wicked Weed brewery is on the lower level of their property on Biltmore Avenue, giving it the feel of a rustic farmhouse cellar. They have a 15-barrel brewhouse, one 30-barrel fermenter, five 15-barrel fermenters, plus a German-style open fermenter. 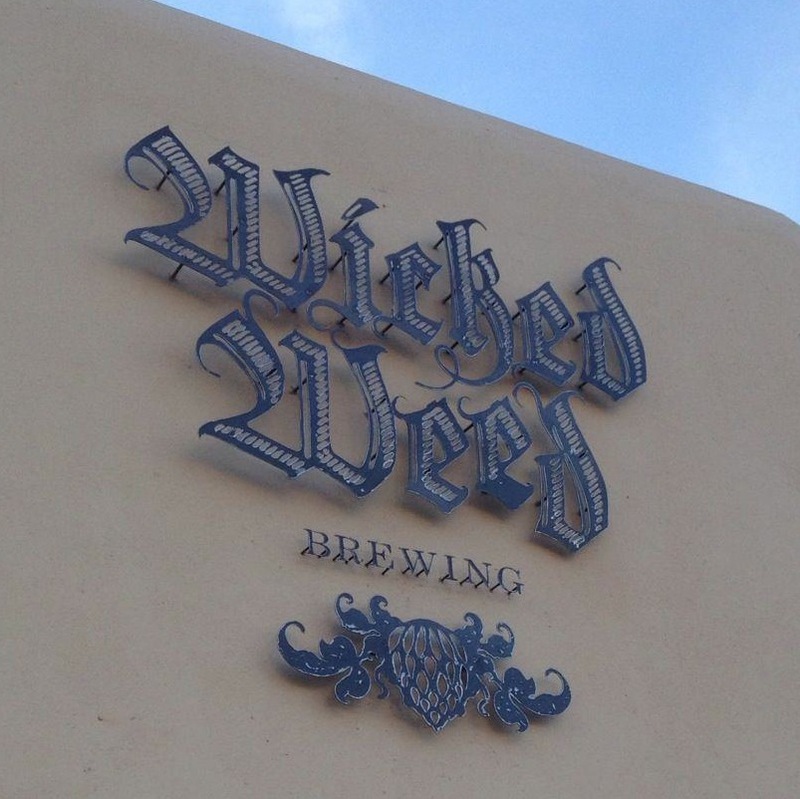 Wicked Weed will have 24 taps, 14 of which will be filled with their own brews for the grand opening. Wicked Weed is going to make excellent beer, but they don’t want to take it too seriously. Walt said that the important thing is to make “beer that's fun." His advice for aspiring brewers? Whatever you expect for your brewery, double it. Double the investment, double the work, and the experience will be twice as incredible as you can imagine. I also met Cardiff Creasey and Jason Saunders, who will be running the kitchen. On the day we spoke, they were on the edge of their seats, eagerly awaiting the final build-out of the kitchen so they could get to work. The menu’s focus will be on "enlightened pub fare," bringing a fresh spin to pub classics. Just like the brewery, the Wicked Weed kitchen wants to showcase local craftsmanship and local ingredients. They plan to collaborate with Asheville’s artisanal City Bakery to make spent grain bread. Jason mentioned that he loves working with brussels, beets, and local cheeses. He was also excited to do some homestyle canning and pickling using Western North Carolina produce. Expect a close relationship with the brewery, with both the brewery and the kitchen contributing ideas and inspiration. While I was talking to the chefs, Walt brought over a bucket of wort for them to “play” with. Will that be used in a glaze or a soup? We shall see. Hungry for more? Mackensy Lunsford of the Asheville Citizen-Times provides a sneak peak of the menu. With prime real estate right next to the Orange Peel music venue, a line-up of interesting brews, and some grade-A talent in the kitchen, Wicked Weed may well be slammed through next weekend. 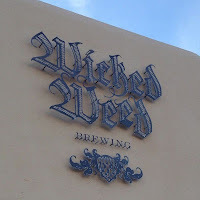 In a community that respects good beer and good food as much as Asheville does, Wicked Weed will be a welcome addition to the scene.